N. K. Jemisin’s The Killing Moon challenges a number of fantasy conventions. Her world is fully fleshed, with complicated political, cultural and social structures. She conveys the complexity and strangeness of her world through language, which can be confusing at times. But by the end of the book, I had achieved fluency in Jimisin’s language and enjoyed seeing all of the well-plotted pieces falling into place. N. K. Jemisin’s The Killing Moon is full of challenges to fantasy conventions. For one, there was plenty of action, but not a single sword fight. And where most books in the genre take their inspiration from medieval Europe, the city-state of Gujaareh feels like a cross between ancient Egypt and Babylon, with perhaps a few dashes of India thrown in. Gujaareh is a cosmopolitan trade center, drawing together people from all over the world, including light-skinned northern barbarians and dark-skinned sophisticates from Kisua (a wealthy kingdom based on ancient Nubia). In the rigid caste system of Gujaareh, the darker the skin, the higher the status, another interesting challenge to usual fantasy tropes. Magic abounds in Gujaareh, but it is neither the diabolical conjuring of sword-and-sorcery nor the more playful wands-and-pointy-hats approach found in Harry Potter books. Instead, the priests of the Hetawa practice narcomancy—dream magic. This system is loosely based on the ancient medical concept of the four humors as well as the spiritual beliefs of the Egyptians and others. The Hetawa collect tithes of “dreamblood” (a sort of dreaming essence) from the people of Gujaareh to use in healing magic. A person near death can donate all of his or her dreamblood to a Gatherer of the Hetawa, and, if the Gatherer performs correctly, the deceased is ensured a peaceful afterlife. The Gatherers accept “commissions”—requests to ease the suffering of loved ones—and so they are viewed as angels of mercy. But Gatherers also “bring peace” to those whose souls are corrupted. They do this by entering the dreams of criminals and extracting all of their dreamblood. In this way they serve as assassin-executioners. The novel begins with a gathering gone wrong for Ehiru, a veteran Gatherer. This failure leads him to question whether he can still perform his duties. This is no idle worry, for a Gatherer who loses control risks becoming a Reaper, an inhuman monster who kills to feed its own insatiable hunger for dreamblood. But Ehiru take this risk in order to help his devoted apprentice Nijiri become a full-fledged Gatherer himself. As if this were not hard enough, the two must root out corruption in the Hetawa, match wits with the semi-divine Prince of Gujaareh and stop a looming war. And there may just be a Reaper on the loose. If this all sounds complicated, well, it is. 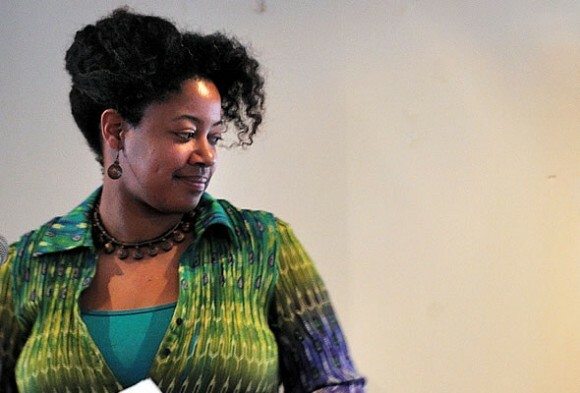 Jemisin’s world is fully fleshed, with complicated political, cultural and social structures. And in a book without a single love scene, she nevertheless manages to present sexual mores that differ significantly from ours, such as the great harem of the Prince or the intense bond between Gatherere and apprentice. Jemisin conveys the complexity and strangeness of her world through language. Indeed, the language of the book is so distinctive as to require a ten-page glossary. I found myself frequently confused by the vocabulary, as well as the characters’ use of nicknames, “dream names” and aliases. 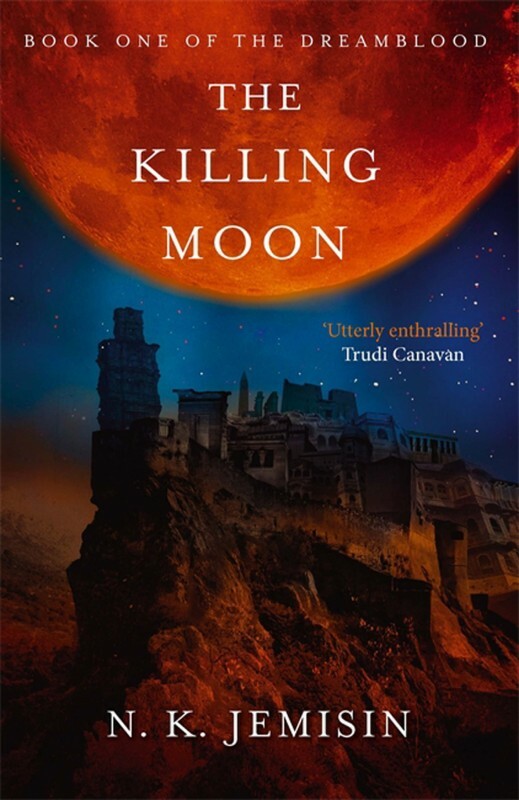 But by the end of The Killing Moon, I had achieved fluency in Jimisin’s language and enjoyed seeing all of the well-plotted pieces falling into place.